If you can't watch live you can watch the show replays online any time...see you there! 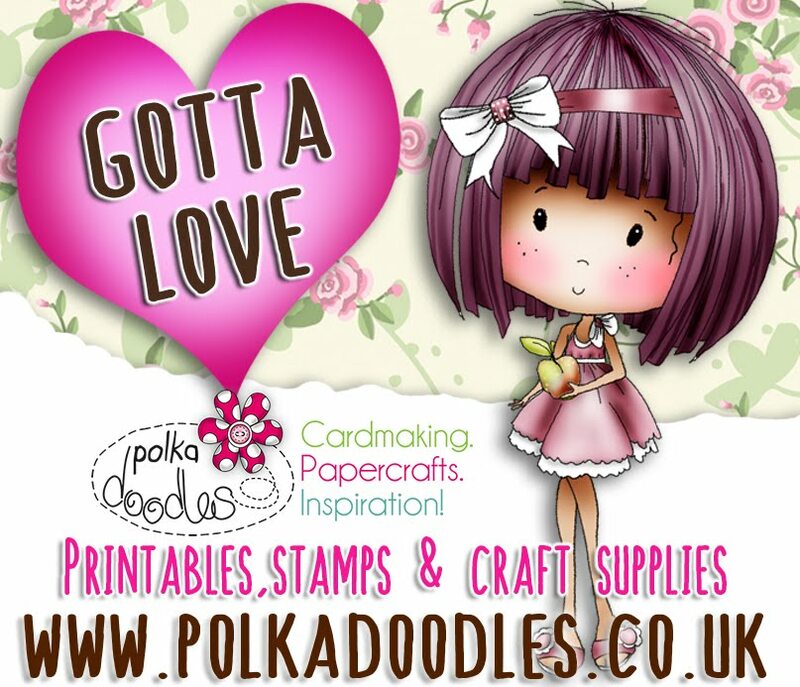 Fantastic new Dies, stamps, printables and papers to get your mitts on - don't miss them! Make anything you like, You can use any products you like to enter. We don’t have many rules but check them out in the top bar if you need to. PRIZE: The random winner (chosen by Random.org) will receive a voucher for 3 digi downloads of your choice from the digi store! 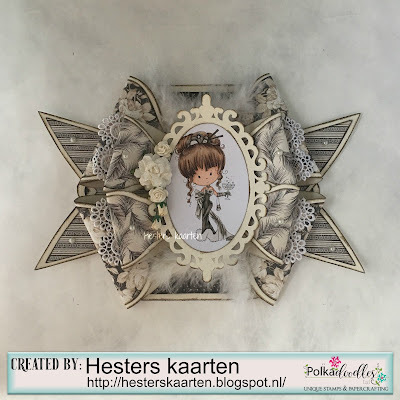 Hester - For the lady I made this bow card with Champagne Celebration from the Winnie Celebrations 2 kit. Anjie - I used the Winnie Celebrations 2 collection to make this. I used a pre-coloured image, 2 papers and a sentiment. I matted the papers and image onto coordinating card and mounted onto 3D foam to give it dimension. 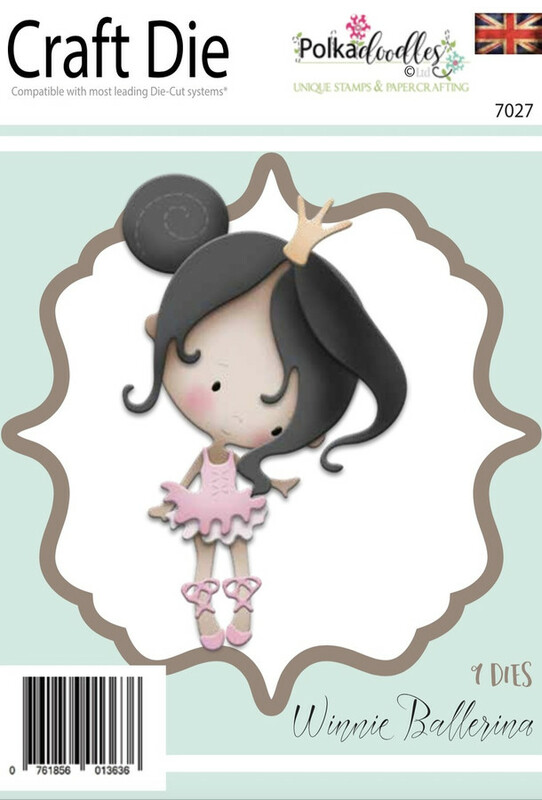 Gina - I have coloured an image out of the Winnie Sugar Sprinkles Collection, Winnie Sugar Sprinkles Springtime. Isn't she cute with the big bunch of flowers?! Erika - This week I have coloured the amazing "Glass Half Full" Digi using my Prismacolor pencils. The quote is from "Helga Hippo Big Kahuna Vip" set. 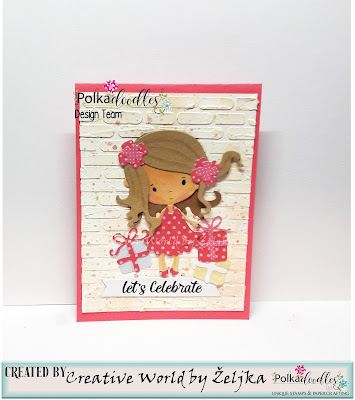 Julie - I have made a Mothers Day card using 'Primrose' from the Darling Buds collection, decorated with Polkadoodles Dies. Jane S - I have made a gift for my mum by decorating a wooden box frame with pre-coloured flowers and butterflies from the gorgeous Lemonade Fizz Collection. I have also used the Scenic Landscape and Super Sprigs Die Sets. Great work from the team as always! Claims must be received by 09/03/18, please refer to Challenge rules at top of blog. Please email us HERE quoting DCW070001 to claim your prize of 3 digi images from the digi store! Allow 21 days for a response to your claim, please do not keep emailing during this time, your claim will be dealt with as soon as possible. 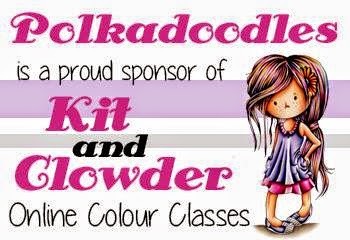 ....the amazing girls over at The Ribbon Girl are also sponsoring a stunning prize for us during February! 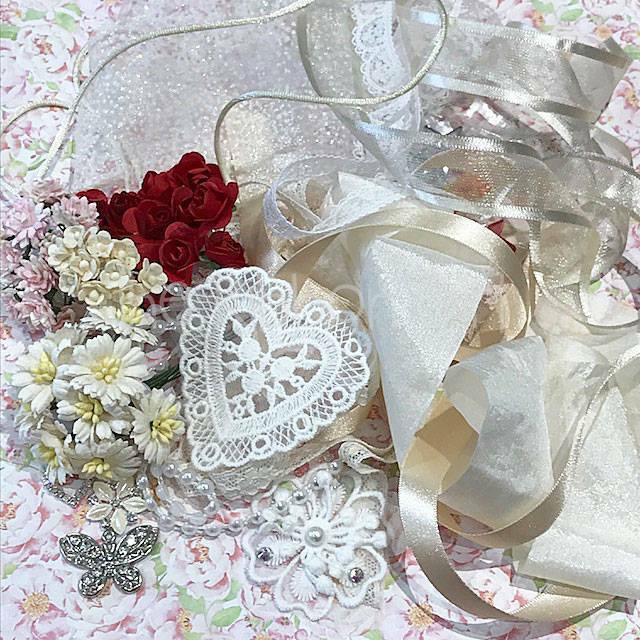 Everyone who enters the challenges from now until the end of this month will be entered into a special random draw to win this amazing Ribbon Girl stash! Thanks so much Ribbon Girls! 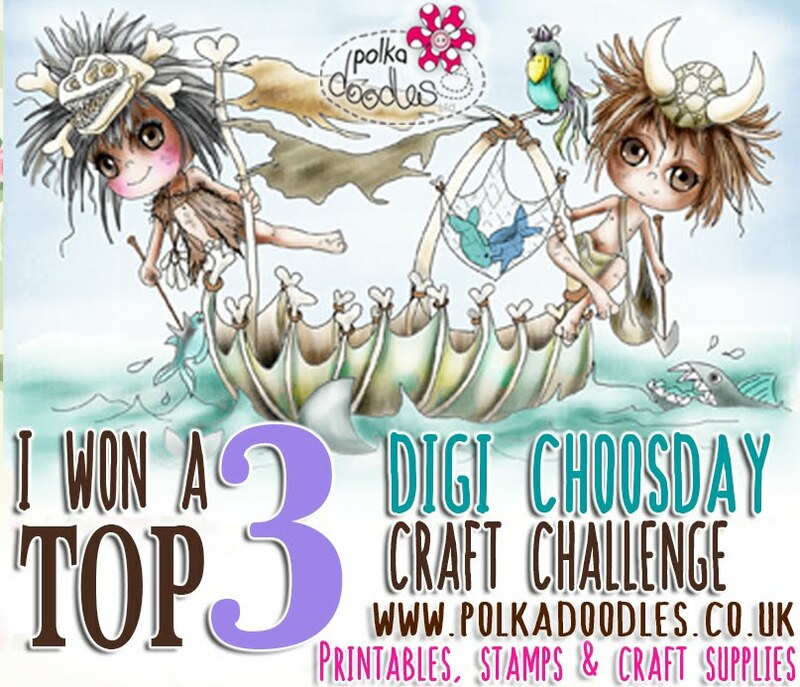 (Rules: A random winner will be shortlisted from each Digi Choosday and Polkadoodles challenge by Random.org. Those shortlisted will then be combined into a final draw and a final random winner selected by Random.org). 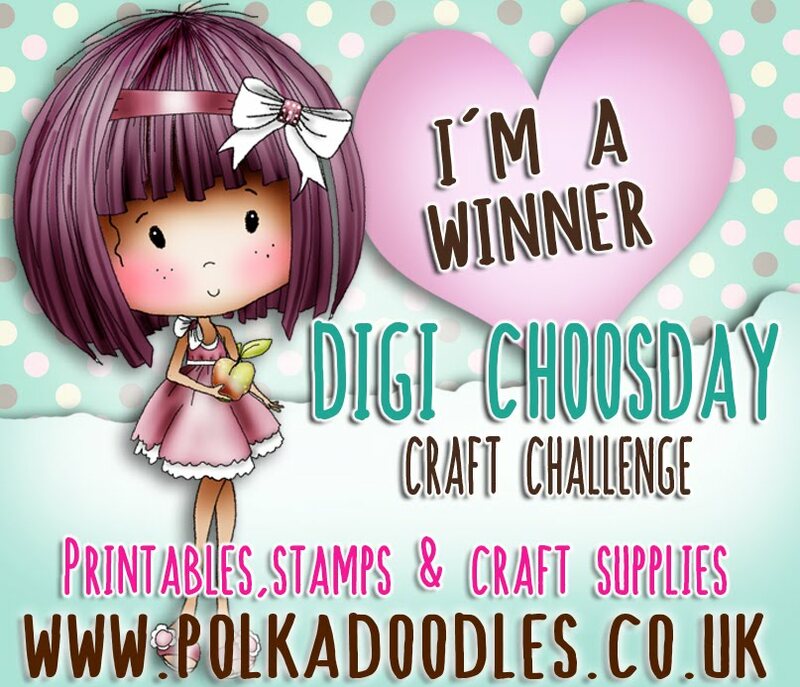 Winner will be announced on this blog and the Polkadoodles blog in March. Katrina ~ Happy Mother's Day to those celebrating; here in the US, we still have a while before we get to celebrate! These fun flowers are from the Work & Play Blooms Bundle and make the perfect bouquet for my slide out. Yvonne - For my card this week I made a 7x7 card using the precoloured image 'Big Bunch' from Winnie Celebration Kit 1, you can get the precoloured image here or you can get the black and white digi here. The sentiment is from Winnie Sugar Sprinkles which you can get as a sentiment bundle here. 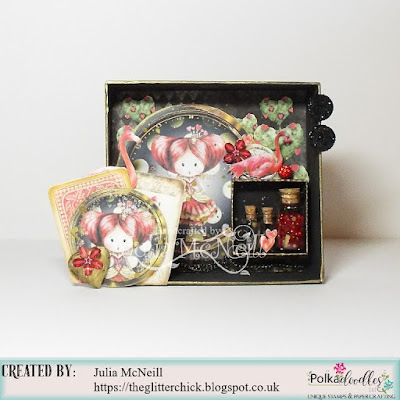 Julia For my make this week I have used the gorgeous Magic Garden collection. I created my layout using Serif and then printed out multiple layers in order to add lots of dimension to my flowers. Full details on my Blog. Claims must be received by 02/03/18, please refer to Challenge rules at top of blog. Please email us HERE quoting DCW060001 to claim your prize of 3 digi images from the digi store! Welcome back to our new Challenge! Linda - With Valentine's Day TOMORROW! !, I decided to show Lots of Love furball style! 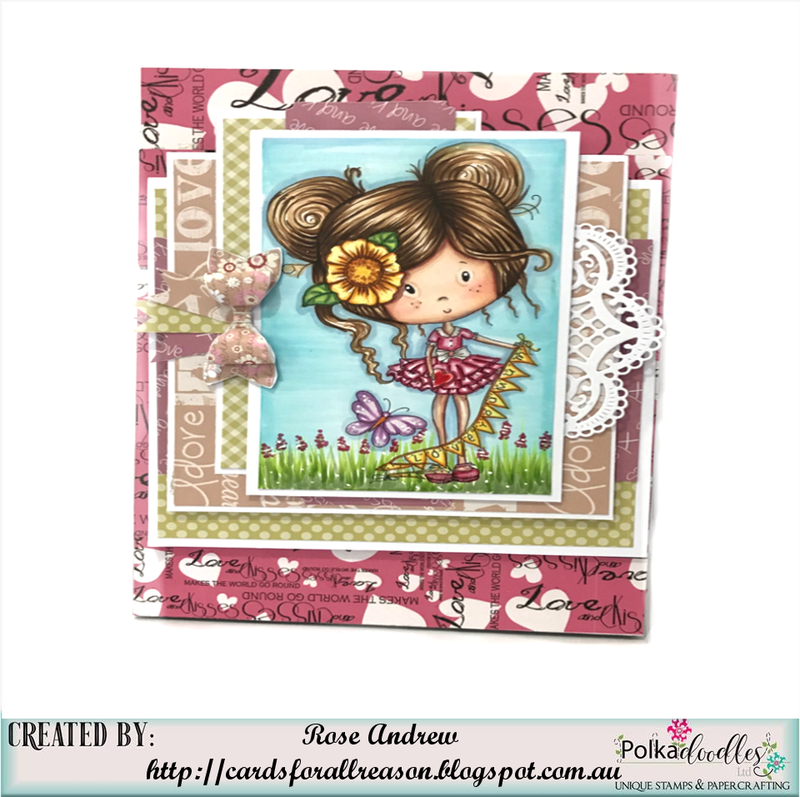 I've created a U-fold card using papers and elements from the Horace & Boo Collection, using pre-coloured embellishments, and colouring Horace and Boo themselves with markers. 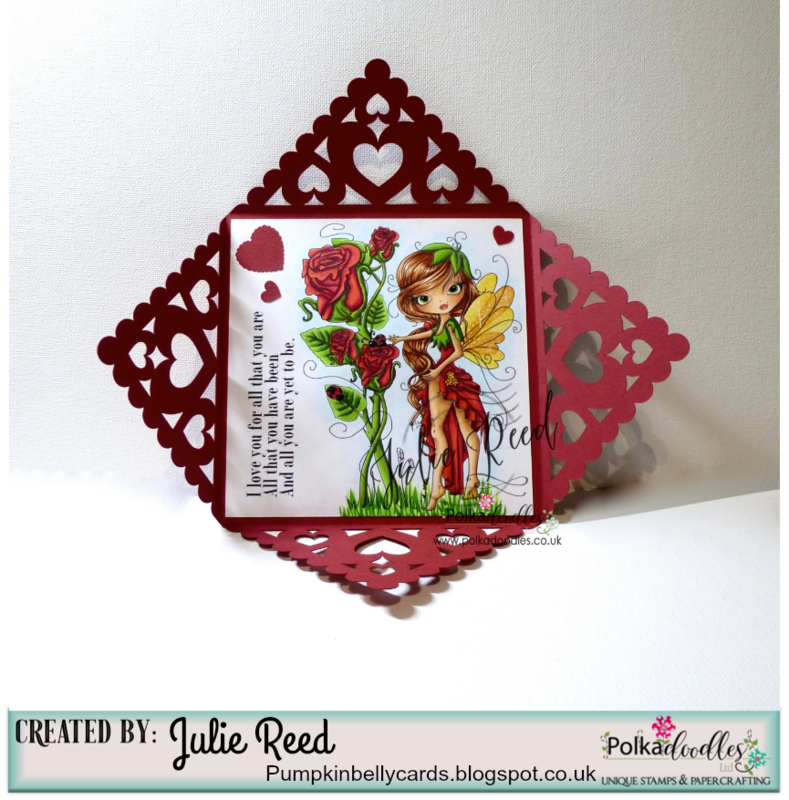 Julie - This April I celebrate my 10th Wedding Anniversary, so I have used Octavia Moonfly Rose Garden to create a folding envelope card for my Hubby. Image is coloured with Copics. Gina - Remember ! It is Valentine's day tomorrow ! I have made this card with a little cupid girl with her arrow, sending love to all of you! using the Work and Play - 9 - Love and kisses collection. Hester - For this challenge Lot's of love I choose Big Bunch and digital paper from Winnie Celebrations 2. Have a lovely Valentine. 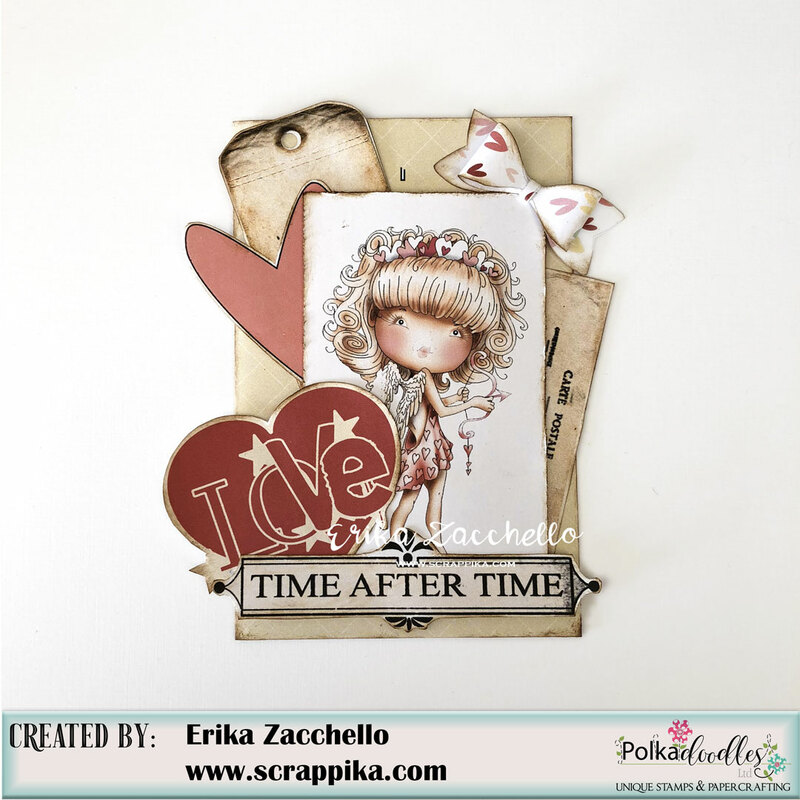 Erika - I have create my card using the stunning pre-colored images from Work and Play - 9 - Love and kisses collection. Jane S - Monsters and aliens fall in love too you know and my galactic couple are flying off into the great beyond in their spacecraft... all loved up!! 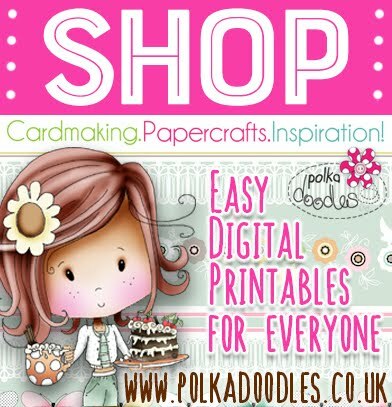 :) I have used the Little Monsters Digital Bundle and some of the versatile Polkadoodles die sets! Julie T - Nothing says Valentines Day like a box of chocolates. 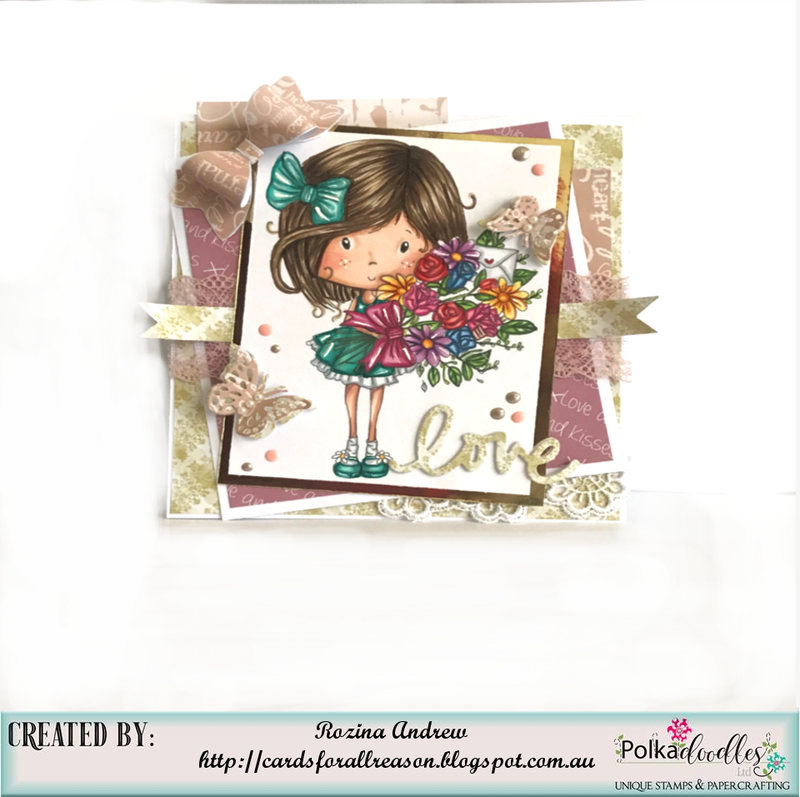 I decorated a heart shaped box using Love And Kisses from the Work and Play 9 bundle. All the papers are from that bundle and the pre-colored image is from one of the design sheets. 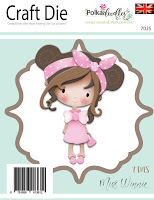 Anjie - I chose to use the new Winnie Celebrations 2 collection. I used a pre-coloured image, one of the banners and one of the papers. Željka-Hello!! !For this challenge I decide to use adorable Winston Bear Best Friends image because I think this image can be used for many purposes.I colored it with ZIG pens and add to heart that I die cut from Winnie Celebrations 2 - Papers 2 .The main panel paper is from Winnie Celebrations 2 - Papers 1 and the sentiment is from Quotes/Sentiments - Lil Miss Sugarpops Kit 1 & Kit 2. Claims must be received by 16/02/18, please refer to Challenge rules at top of blog. Please email us HERE quoting DCW050001 to claim your prize of 3 digi images from the digi store! Welcome back to our latest Challenge! Yvonne - For this weeks challenge I decide to upcycle a plain old boring candle to something better. I used the 'Serenity' Collection. You can find the collection here. 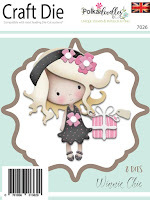 I used the precolured image of 'Serenity Joyful' which is a precolured image on the main collection but if you want to colour her yourself, you can find her as an individual stamp here. Katrina ~ I chose to recycle an old CD case. It now holds a couple of miniature layouts for my son-in-law's desk! 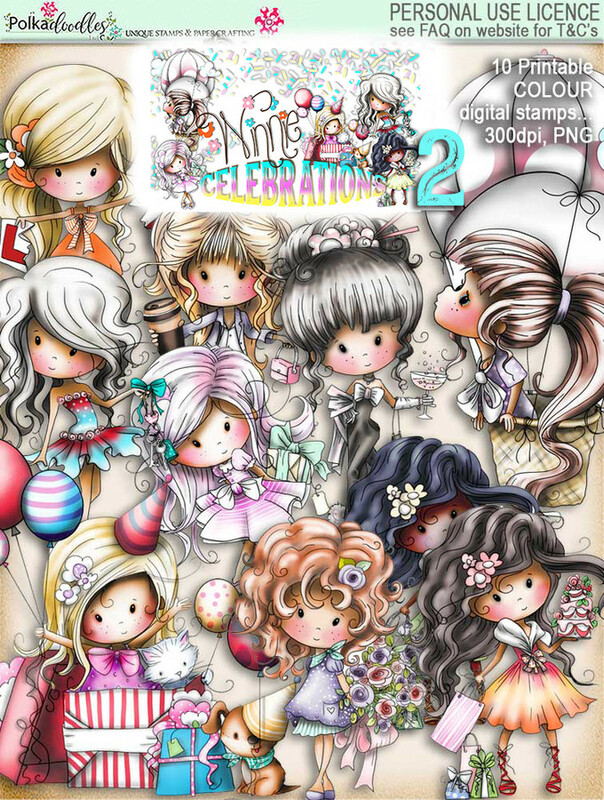 These cute papers, sentiments, speech bubbles and pre-colored digis all from Little Monsters made the perfect digital piece! Heart border was created from hearts in Love & Kisses. Rose I have decided to use an old pic frame, which I will give my mother in law for her birthday ... I created the card and mounted on it ...it opens front ..where i will write the message and place a gift card. For this project I have used digital image Winnie Sugar Sprinkles Springtime - Love You Mum together with digital papers from Work-Play-9-Love-Kisses Collections i love this collection of papers so much ... perfect for all occasions. Jane P - What better way to reuse a tin can than to make a pen/pencil holder out of it. 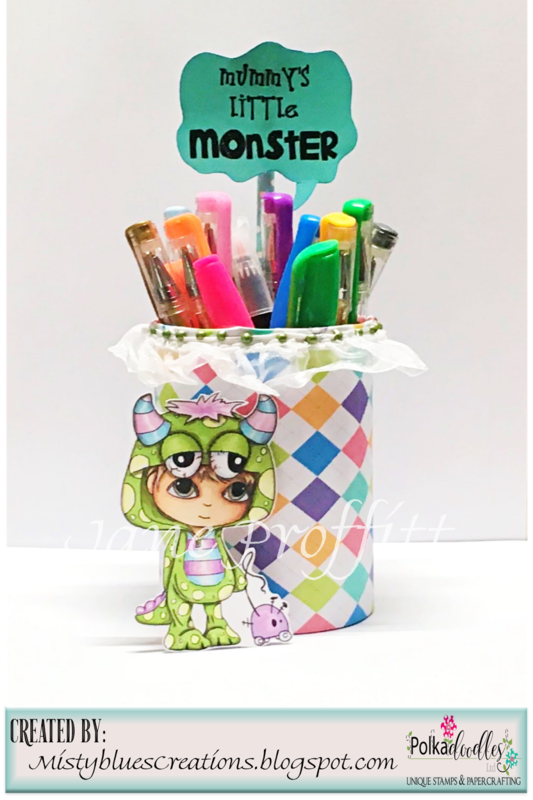 Also added a clothes pin to the back of my image to hold those papers together using Little Monsters Printable Paper and that adorable Stamp of the Month "Pip"
Julia I raided my box of " I could do something with that" and pulled out some things to recycle .. I Used a couple of box lids to create a shadow box, and then some broken bits of jewellery as embellishments. I also went through my stash of leftover papers from previous polkadoodles makes. These papers have come from the Winnie In Wonderland collection. Full details on my blog. Please email us HERE quoting DCW040001 to claim your prize of 3 digi images from the digi store!